Bhutan Tours and Travels have been in the field of tourism since its inception in the early 1970s. 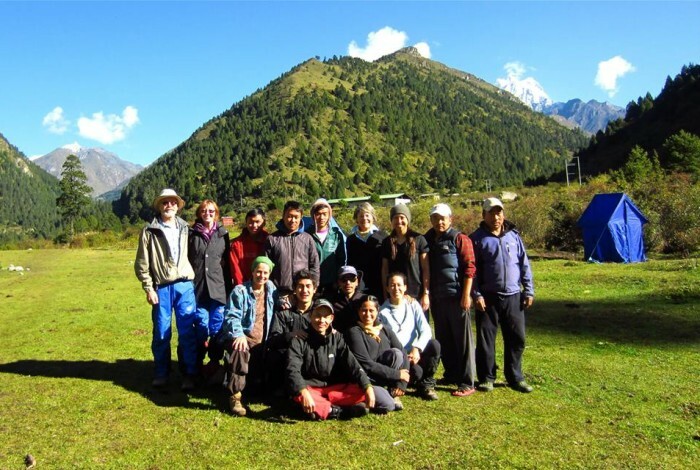 We have well-trained guides and experienced personnel well-versed both, in the cultural traditions of the land as well as in conducting tour groups in comfort and safety through the high mountain terrains. We are different from other operators, in that we provide personalized services and attention, while looking into specific interests of our clients. We organize a wide range of cultural tours and treks, but we also cater to special interests and would be delighted to arrange customized tours to suit individual tastes. We take care of your visa application, your hotel reservation, your flight reservation in and out of the country and we look into every detail to make sure your stay is as comfortable and as enjoyable as possible. We cater to all kinds of tours and treks with specialization in yoga and wellness, education and service trips and trekking that are personalized and customized to suit your needs and interests. We assure to provide you with the highest quality of Bhutanese hospitality and a trip that you will cherish forever. With a team of professionals, that has multiple years of experience in this domian, we work very closely with our clients and provide them with the best services and are inclined to give the best value for our clients money and in making their trip a memorable one. We also offer the best services to our clients that include hotel bookings, passport and visa services, car and coach rentals and airline ticketing. Bhutan Tours and Travel will give you the holiday of your lifetime in an ancient Kingdom of clouds, mountains and beauty. Please feel free to contact us for any information and inquires.